As demolition time draws near for the two Elwha River dams, 82 bull trout were recently captured in the middle portion of the river and moved upstream out of harm’s way. Scientists used their skills with hook-and-line fishing as well as the more direct electroshock treatment to take adults and juveniles from waters in and around Lake Mills at the upper Glines Canyon Dam, as well as from the section of the river between the two dams. The bull trout averaged 14 inches long, and some were as big as 24 inches. The fish were held in net pens in Lake Mills for up to 10 days. They were measured and sampled for genetic characteristics. Radio transmitters were implanted in 31 fish to track their movements. Then they were transported by helicopter to two locations upstream, one near Elkhorn Ranger Station and the other at the mouth of Hayes River. 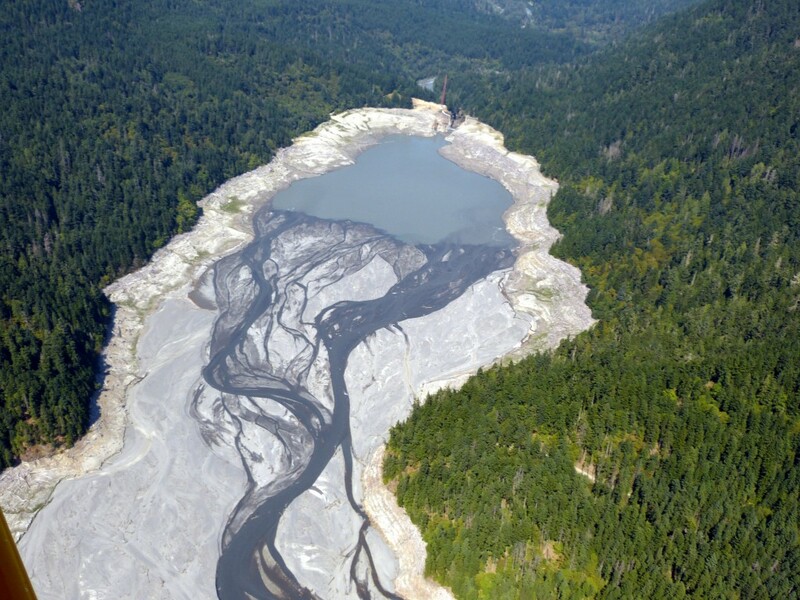 The protective action is considered important, because removal of the Elwha and Glines Canyon dams is likely to dislodge an estimated 24 million cubic yards of sediment that has collected behind the dams since they were built, according to estimates by the Bureau of Reclamation. Most of that sediment will come from a delta at the south end of Lake Mills. Bull trout caught in the sediment-laden river probably will not do well, researchers say. “Using the best available science, we’ve taken steps to protect the bull trout population and given them immediate access to high-quality, pristine habitats in the upper river through this relocation project,” said Sam Brenkman, fisheries biologist for Olympic National Park. According to the “Bull Trout Protection and Restoration Plan” (PDF 1.6 mb), turbidity will exceed 1,000 parts per million for extended periods and may periodically exceed 10,000 ppm. Even at 50 to 100 ppm, bull trout may stop feeding, suffer from gill abrasion and experience stress that can reduce their fitness. Greater levels of turbidity can lead to reduced health and possible death. It was assumed for planning purposes that fish remaining in the river would die. That’s why a priority was placed on maintaining access to high-quality areas upstream as well as tributaries and off-channel areas that can serve as refugia from the murky waters. 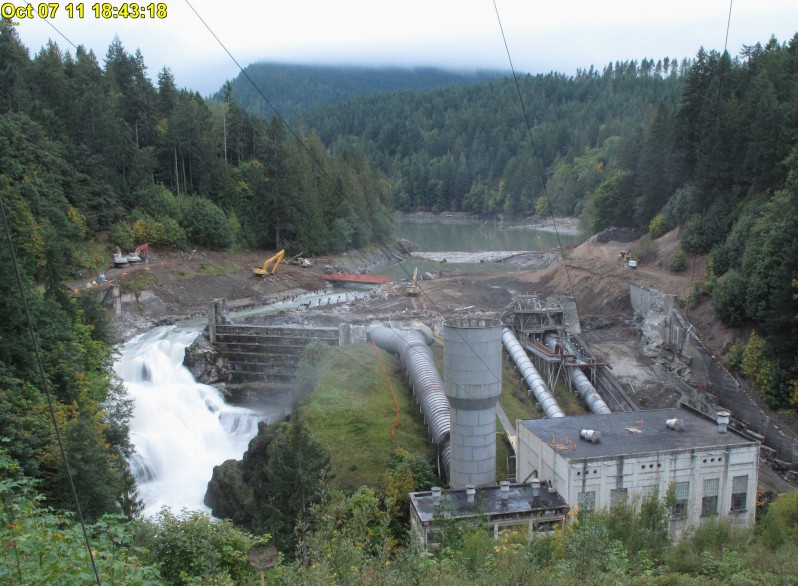 In addition, the demolition schedule includes “fish windows” when construction will cease and the river will clear up to a safer level, allowing for salmon and trout to migrate and spawn. These fish windows are scheduled for November-December to aid coho and chum migration into the Elwha; May-June for hatchery out-migration and steelhead in-migration; and Aug. 1-Sept. 14 for chinook and pink salmon in-migration. 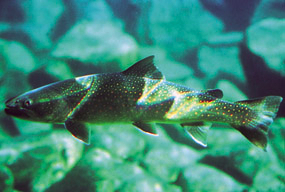 Bull trout were listed as threatened under the Endangered Species Act in 1999. Over the past five years, fisheries biologists have surveyed the river to find out where the fish hang out, tracked them with radio telemetry and conducted genetic studies to understand their population dynamics. Based on this work, researchers estimate the adult bull trout population at less than 400 fish, less than 3 percent of the entire Elwha River fish community. Between 60 and 69 percent are found downstream of Rica Canyon, which lies just above Lake Mills. Moving the fish upstream will allow them to find the most suitable habitat following dam removal. A unique characteristic of bull trout is that some individuals in a given population may migrate to the ocean, while others stay in freshwater their entire lives. Some may move into tributaries or lakes, while others prefer the main river. 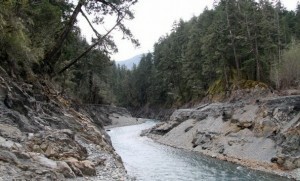 Biologists believe bull trout once occupied the entire Elwha River system before the first dam was built in 1910. Following dam removal, the landlocked population above the dams will be able to move all the way downstream. 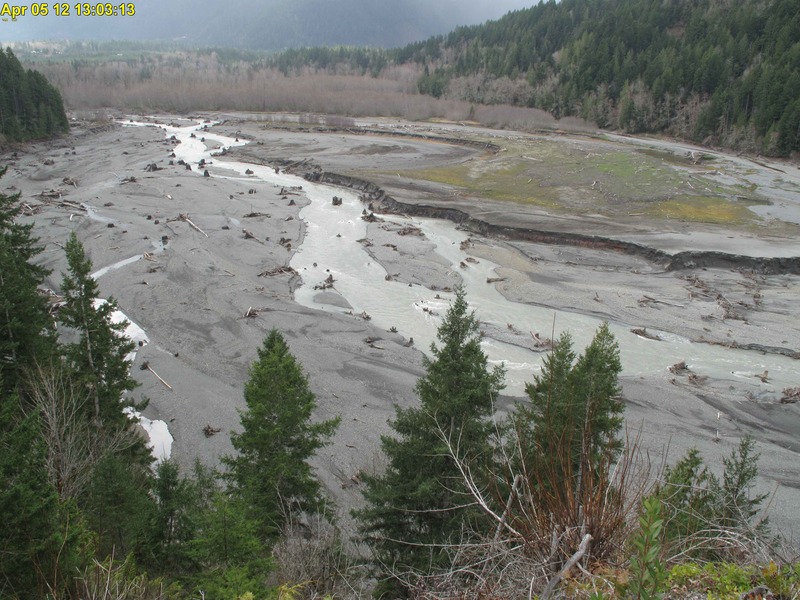 The anadromous population that can’t get above the Elwha Dam will be able to utilize the entire watershed. The relocation effort fulfills a requirement of a 2000 revision to the 1996 biological opinion for bull trout by the U.S. Fish and Wildlife Service. 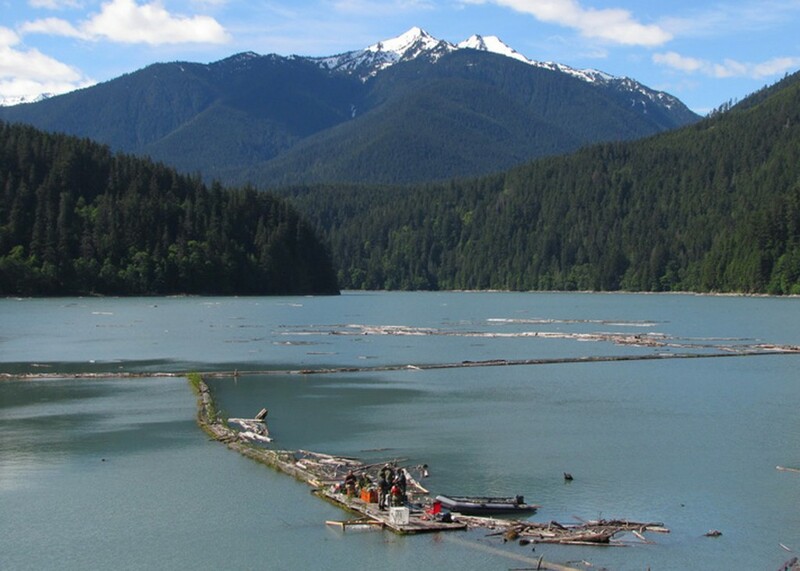 “We are pleased that we met our objectives,” said Pat Crain, fisheries biologist for Olympic National Park. “And this project, designed to protect a threatened species, would not have been possible without close collaboration among the various agencies. The relocation work was completed June 17. Other projects that should help bull trout include a culvert replacement on Griff Creek, a middle tributary of the Elwha, and an evaluation of the competition that occurs with nonnative brook trout. 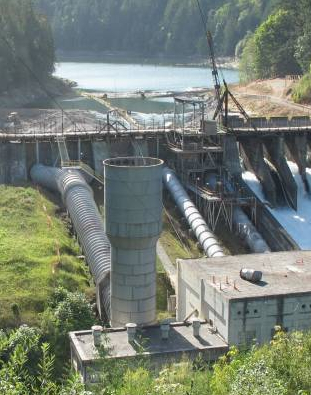 If you’d like to read more about the Elwha Dam removal, check out the story I wrote for the Kitsap Sun Sept. 4, 2010, or visit Olympic National Park’s “Bull Trout” page.